Ever since it was announced that Sherlock Holmes would be getting a sequel, there has been much debate as to who should step into the shoes of the arch-villain Moriarty. Many names have been tossed around, such as Gary Oldman, Brad Pitt, Javier Bardem, and Daniel Day-Lewis, but they have all been beat out by a lesser known actor by the name of Jared Harris. 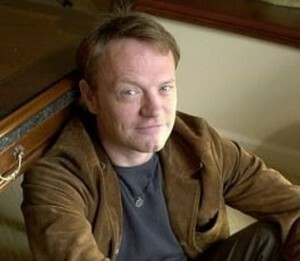 That isn’t to say you haven’t seen Jared Harris before, because he has a very extensive casting history. Son of acting legend Richard Harris, Jared has been a guest star on shows such as Fringe and Mad Men, and had a sizable role in The Curious Case of Benjamin Button. Harris has also been cast in the new film Tinker, Tailor, Solider, Spy. If you require proof that he can pull of the intelligence and still be sinister enough for the role of Moriarty, look no further than his appearances on the first season of Fringe. Upon hearing this casting news, this is the first thing I thought about. Despite not bringing another big name to the cast, he should fit the role better than many of the aforementioned actors once considered for the role. This along with the casting of the brilliant Stephen Fry as Sherlock’s older and wiser brother, Mycroft, and Girl With the Dragon Tattoo‘s Noomi Rapace, makes Sherlock Holmes 2 another blockbuster with an incredibly talented cast. What do you think? Was there someone better for the role? Let us know in the comments!